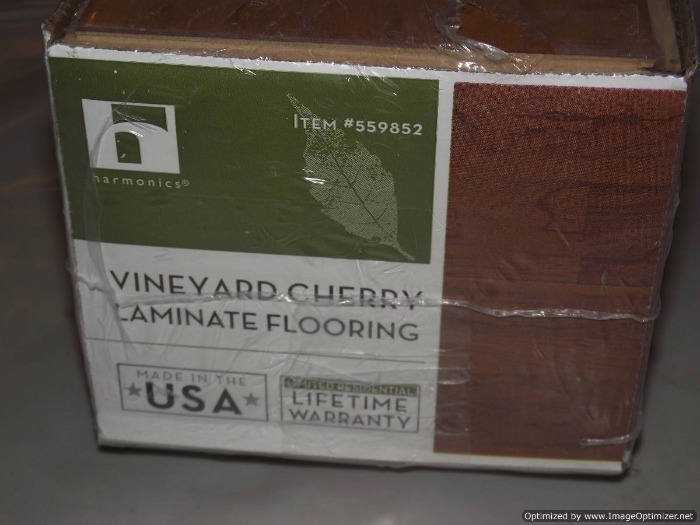 The Harmonics Vineyard Cherry has a light hand scraped appearance which you can see when the light hits it just right. 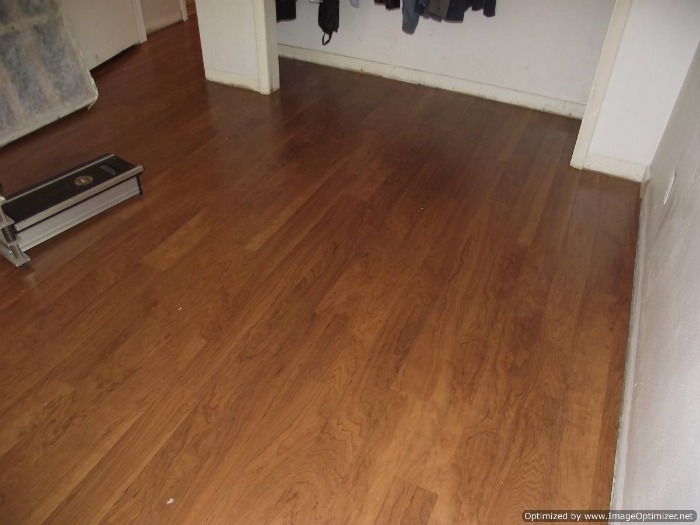 The planks measure 4 7/8 inch in width by 47 1/4 inch in length. The thickness is 5/16 inch thick with a 1/16 inch padding, making the total thickness at 3/8 of an inch. The surface is pretty tough also. I used my utility knife on a scrap and scratched it. It didn't scratch too easy, and the scratch didn't show too much. The edges have a slight bevel on the long side. The end joints didn't appear to have much of a bevel. I tried to find this product on the Costco website, and didn't have much luck. It must be something new in their stores and they haven't updated their website yet. You may have to make a trip to one of their stores to find it. The Costco Harmonics comes with a Lifetime warranty, and is also made in the USA. I didn't find many damaged planks, which is a big plus. There is nothing worse than having to sort through boxes to find planks that do not have damaged edges. 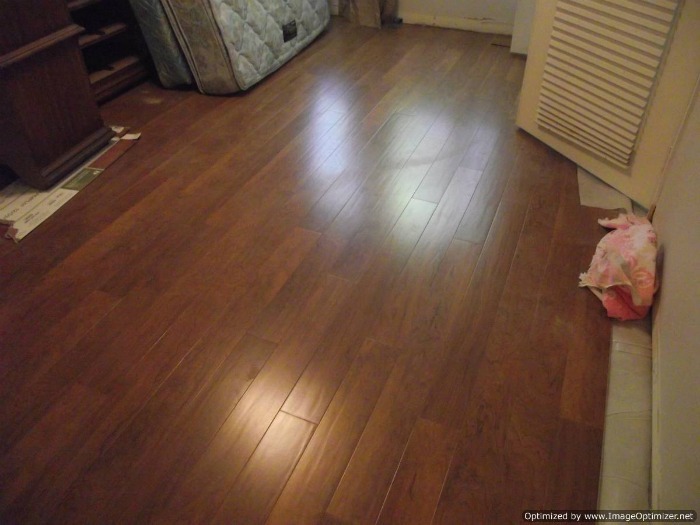 I liked the color of this Vineyard cherry laminate. I couldn't get photos of the floor with the base board installed. 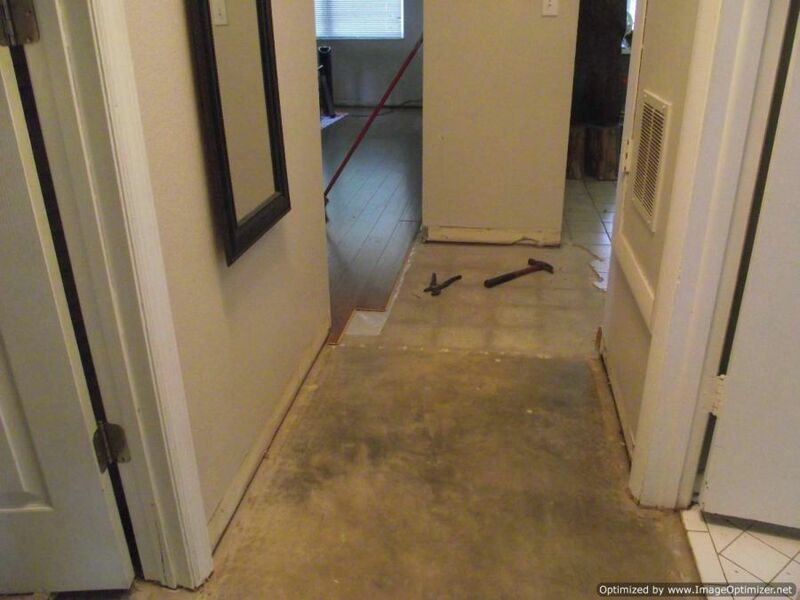 My client is going to install a 5 1/4 inch base board himself. 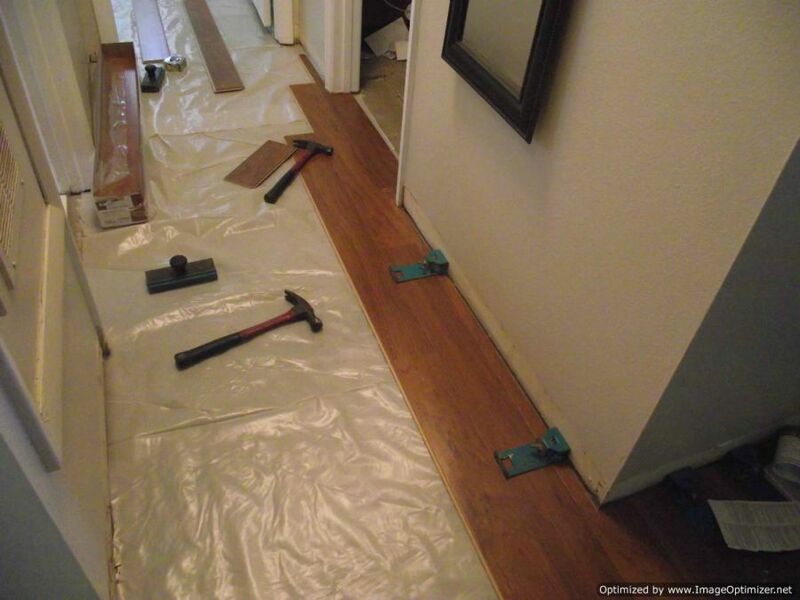 I installed this laminate in 2011 and as of the beginning of 2014 I still can't locate much on the Costco website. It shows that they still sell it, and you can order samples for 5.00. But they don't show an actual price for the product. You may have to call or go there to find out what they have. I have given a fair description of this product here to help identify the product if you happen to spot it. 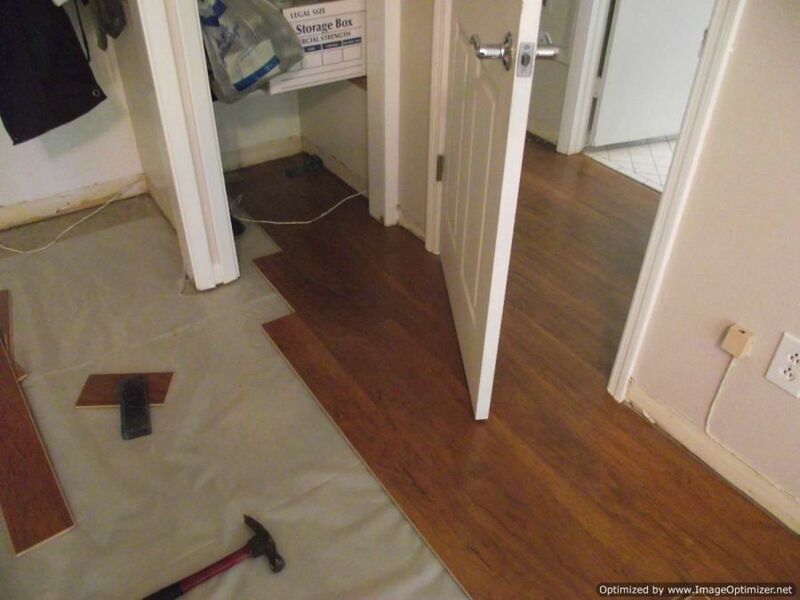 photos as I proceeded to install this floor. 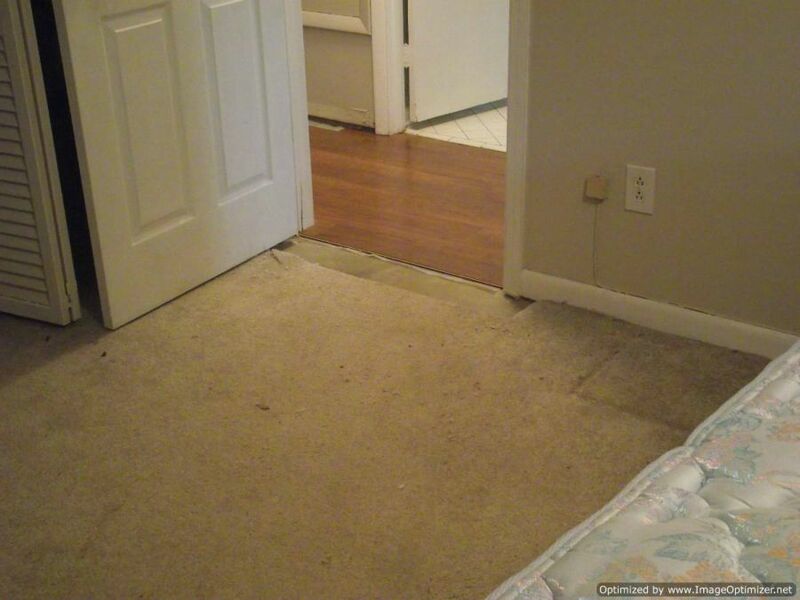 Here I flowed the laminate through the doorway. Making sure to under cut the door jambs good. 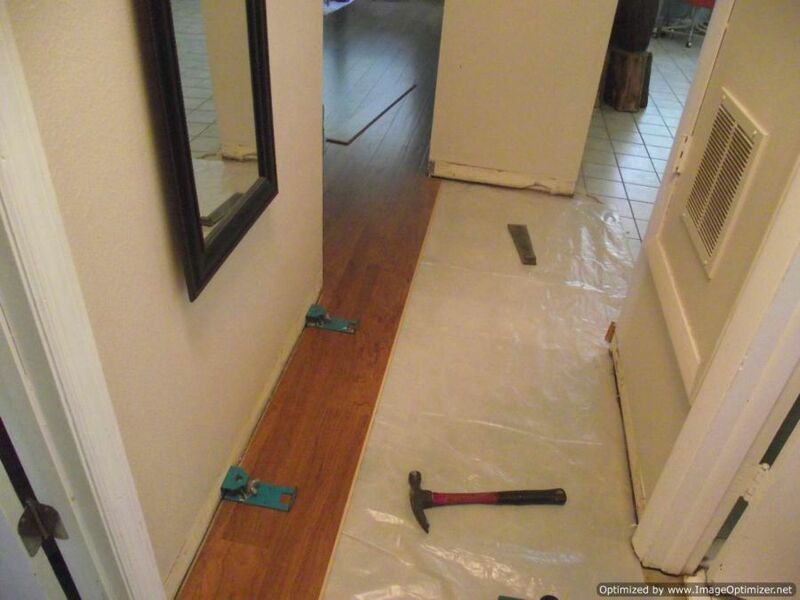 The laminate is installed from one end to the other.